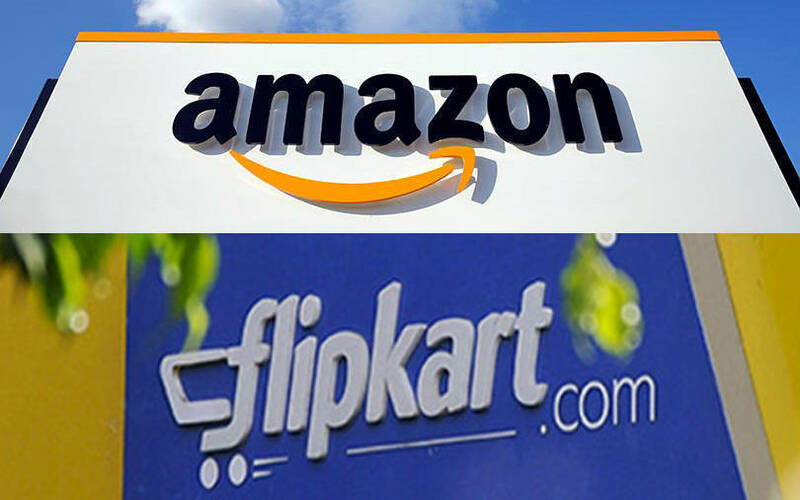 US-based e-tailer Amazon’s India arm and US retailer Walmart-owned e-commerce major Flipkart have reportedly asked the Indian government for an extension of the 1 February deadline to adhere to the new foreign direct investment (FDI) policy. The Economic Times (ET) reported, quoting people it did not name, that Amazon has asked time till 1 June and Flipkart has asked for a similar time frame to comply. The latest FDI guidelines were announced in the last week of December as part of which the government had sought to tighten regulations around the inventory model, through which e-commerce firms directly sell products to customers from their own inventories -- often at large discounts. An Amazon India spokesperson told TechCircle, "We await clarifications from the government on the new policy changes." The person added, "As we seek clarity, we have written to the government requesting an extension of four months. With over 400,000 sellers and hundreds of thousands of transactions happening daily on the Amazon India marketplace, we need adequate time to understand the details of the policy." Email query to Flipkart did not get a response till the time of publishing this report. Confederation of All India Traders (CAIT) on Wednesday called for certification of compliance with the FDI rules by DIPP (Department of Industrial Policy and Promotion) for all e-commerce companies by 31 March. "If the government gives in to the demand for extension, it will lose out on traders' votes. In meetings, we have been given an in-principle agreement for establishing a regulatory authority for e-commerce in India," said Praveen Khandelwal, national secretary-general of CAIT. The tweaked regulations, in effect, require the top players to overhaul their business models. Given that India’s two largest online retailers—Flipkart and Amazon-- are foreign-owned and have both pumped in billions of dollars, a lot is at stake. The tweaked rules are seen as protecting small traders selling on e-commerce platforms and providing a level playing field for Indian e-commerce companies such as Snapdeal and ShopClues, which work on a marketplace model — where they serve only as a platform for buyers and sellers without storing inventory. The government had issued Press Note 3 in 2016 which permits 100% FDI in business-to-business (B2B) e-commerce and bars FDI in business-to-consumer (B2C) online retail. It also specified that online e-commerce platforms cannot directly or indirectly influence the price of goods and a single vendor cannot account for more than 25% of sales on the platform. Last month, the government issued a clarification to the Press Note 3, which stated that subsidiaries of e-commerce marketplaces or entities in which e-commerce platforms have an equity shareholding cannot sell on the platform with effect from February 1, 2019. In addition, it said that online marketplaces cannot have control over inventory. The new rules consider the inventory of a vendor to be controlled by a marketplace if more than 25% of its purchases are from a marketplace entity. Flipkart and Amazon both have wholesale arms which supposedly sell goods to vendors on their platforms on a B2B basis. They sell a large portion of these goods on their platforms through joint ventures and affiliated sellers. For instance, Cloudtail, one of the largest sellers on Amazon, is owned by a 49:51 joint venture between Amazon and Catamaran Ventures, the personal investment arm of Infosys co-founder Narayan Murthy.